I had a sweet friend bring us dinner last year after Rebekah’s tubie was placed. She brought an impressive spread which included a chunky applesauce that was just divine. Ever since then, I’ve been on the hunt for fun and flavorful applesauce recipes. The Pioneer Woman came through with this tasty recipe on her website. It’s a mountain of work, but the wonderful flavor and the beautiful end product is a sweet reward. Peel, core, and slice six pounds of apples. In a large pot, Add your apple slices, 1 cup of Apple Juice Or Apple Cider, the Juice Of 1 Lemon, 1/2 cup Brown Sugar (Packed), and 1 teaspoon Cinnamon. 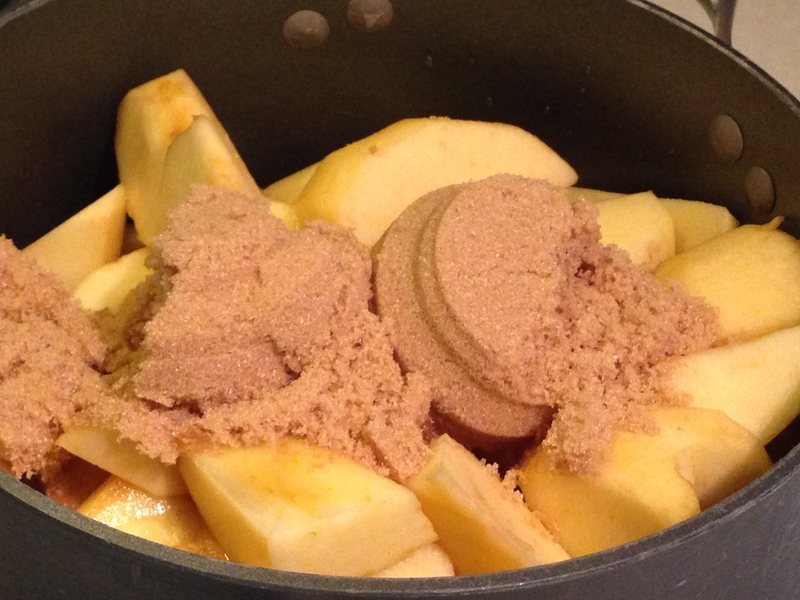 Stir this all around so that the apples are coated with your brown sugar mixture. Cook over medium heat for about 20 minutes. Stir the pot occasionally. 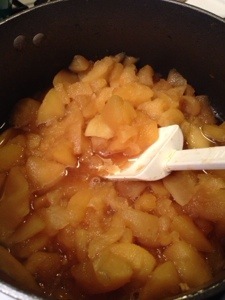 The mixture will become the most beautiful caramel color. 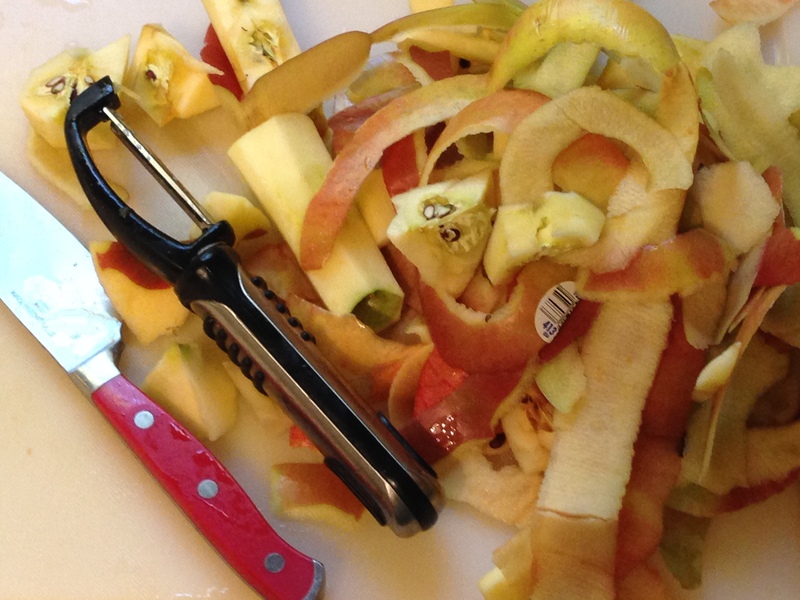 When the apples are tender, you can remove from the heat. At this point, you have options for your applesauce. I love to leave my chunky so that there is still a bite of apple to chew into. You could puree your mixture for traditional applesauce, can it, freeze it, use it as a yummy ingredient in another recipe (I’m thinking apple muffins! ), or simply serve it on the side at dinner. I usually set aside some for Rebekah. I’ll puree hers and portion it out into freezer containers for her to be able to eat some at school throughout the week. I’ll be thankful forever to my friend who showed me that homemade applesauce was incredibly yummy and worth my time and effort! This entry was posted in Cooking and tagged apple, apples, applesauce, brown sugar, cinnamon, homemade. Bookmark the permalink.